Cherie Marks: Please Welcome Amy Durham! 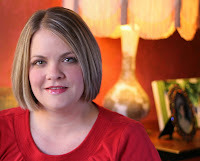 Today, I am excited to have an exceptional author (and very good friend), Amy Durham, on the blog. She was nice enough to answer a few questions for me and to share all the juicy details on her latest release. AMY: Thanks Cherie, for inviting me to come hang out with you! 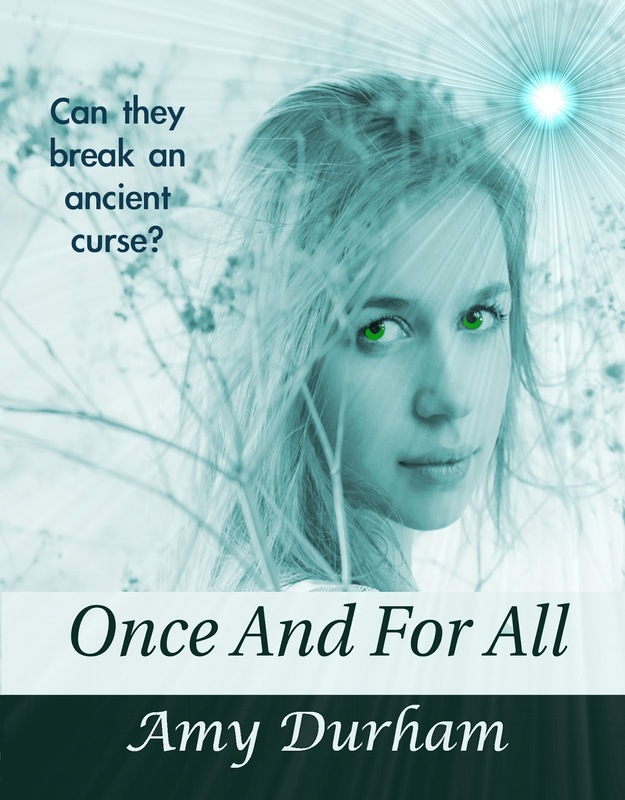 I really appreciate the chance to interact with your readers and promote my latest release, ONCE AND FOR ALL! CHERIE: Which comes first for you—plot or characters? AMY: Usually, the characters and some kind of event or scene comes first. I find that if the characters “flesh themselves out” for me, the plot will follow smoothly after that. CHERIE: What aspect of writing comes easy to you? What is difficult? AMY: The initial plotting and characterizations come easy. I enjoy the rush of the beginning of the book! I’m never short on ideas! The most challenging is just finding the time to really dig in and write. I teach full time, and I have 3 kids of my own, so sometimes I have to wait until summer break to get large chunks of writing done. However, I do write in smaller batches regularly. CHERIE: Who are some of your must-read authors and why? AMY: Rachel Vincent, because I LOVE her “Soul Screamer” series. Nyrae Dawn, Tiffany King, and Jessica Sorenson for gritty stories that carry important messages. Where in the world would you want to visit (all in the name of research, of course) and why? Ireland and Scotland. There is a something deep inside me that longs – almost physically – to see these places! I’d love to set a story – or many stories – in those places someday! CHERIE: What did you enjoy most about writing your latest work? AMY: I enjoyed exploring the idea of “class-jumping” in high school. I remember how scandalous it was in high school when a “popular” boy dated a girl a class or two below him, or when a “popular” girl befriended another girl who didn’t run in the same circles. 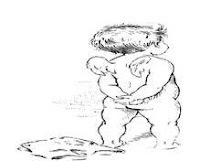 Others, from both “classes” aren’t quick to accept those scenarios, and, as we all know, kids can sometimes be cruel. I wanted to create a story where a popular boy and unpopular girl fell for each other, feared the ramifications of their peers, but ultimately decided their love was worth it. CHERIE: Can you talk about what you are working on now? AMY: I’m working on another young adult paranormal romance. 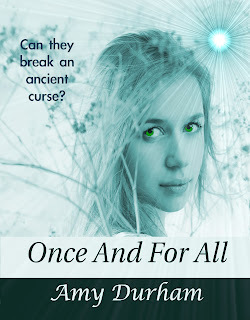 ONCE AND FOR ALL, which just released, is book 2 in the Sky Cove Series. (ONCE AGAIN is book 1.) I’m taking a break from Sky Cove for a bit and writing a book called “Dusk”, another young adult paranormal romance. The paranormal element is different. Rather than reincarnation, the characters encounter a fellow high school student who is human, but with a few…. “extra abilities”! CHERIE: Favorite movie and why? AMY: I have several, and, as you might expect, they are all romantic stories! “When Harry Met Sally” is my absolute fave, but “Notting Hill”, “The Sound of Music”, and “P.S. I Love You” all follow pretty closely behind! I also adore the movie “Once”. It’s an independent Irish film with GREAT music! CHERIE: What can you tell us about Once and For All? What happens when 180 pounds of football star collides with 105 pounds of art geek? An ancient curse springs to life, of course. Phoebe Campbell is anything but popular. Todd Miller is the epitome of the high school jock. Their socially opposite worlds collide when they are paired to work together on a project for art class. Attempting to cooperate for the sake of their assignment, Todd and Phoebe begin to look past preconceived notions and see each other for who they truly are. As genuine feelings begin to develop between them, they find themselves plagued by dangerous shape-shifting episodes and unexplained telepathic connections. In order to stop the mysterious occurrences, Phoebe and Todd are forced into a mission to uncover the truth. In their quest, they discover unsettling stories that hint at a previous existence, and also clues to an ancient curse that has never been broken. Can they learn to love each other despite the typical high school social expectations? And will their love be the key that breaks the ancient curse once and for all? I teach full time, and I have 3 kids of my own, so sometimes I have to wait until summer break to get large chunks of writing done.